You can craft all kinds of documents in Microsoft Word — from short stories to annual reports, making nearly any kind of paper is possible. 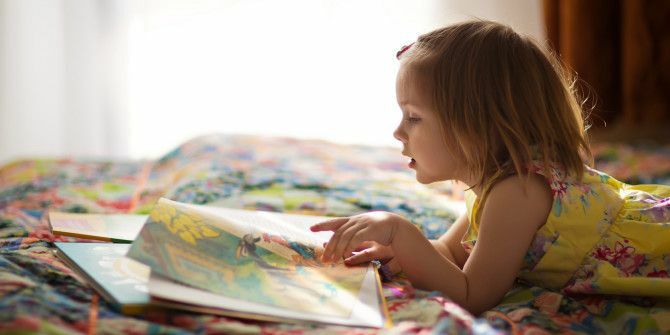 Depending on your target audience, you may be concerned about the level of readability inside the document — you don’t want to serve college graduate level reading in a story meant for children How to Pick the Perfect Book for Children How to Pick the Perfect Book for Children There is no better gift for children of any age than a book. But once you've exhausted your own childhood favourites, where do you turn to for other options? Read More . Note that readability here refers to the ease of comprehending written word, not checking to ensure aesthetics like font size and color are clear. If this is the type of readability you were looking for, check out how to make text easier to read in Windows How To Make Text Easier To Read In Windows How To Make Text Easier To Read In Windows Most of us spend hours reading on the computer every day, but our computers probably aren’t optimized for reading. The text on our monitors may not be sharp enough or may be too small, especially... Read More . Low copy scores in the Flesch Reading Ease test make me feel significantly smarter than the average human. Or at least a better reader. You could always get readability information through a tool on the Web 8 Readability Web Tools to Test Your Writing Quality 8 Readability Web Tools to Test Your Writing Quality Read More if you need more info, but Word can give you a base overview without ever leaving. Here’s how. Open File > Options and select the Proofing tab. Under the When correcting spelling and grammar in Word heading, check the box that reads Show readability statistics. Now when you manually run the Spelling & Grammar check on the Review tab of the Ribbon, you’ll see how easy your document is to comprehend in addition to any grammar issues. The output is just a raw score from two tests: the Flesch Reading Ease and the Flesch-Kincaid Grade Level; you can find more information on these on Microsoft’s page if you like. Basically, the Flesch Reading Ease rates the text out of 100 points; higher is easier to understand, with 60-70 being a good aim. For the Flesch-Kincaid Grade Level test, your score is based on a grade level that could understand it — so a 9.0 means it’s appropriate for a ninth-grader, and so on. A score of 7.0 – 8.0 is a good goal here. If you’re curious, I ran the check on this article and scored 62.5 and 8.8, respectively. Do you think these scores are a useful measure of readability? What scores have some of your recent documents earned? Have your say in the comments below! Explore more about: Microsoft Word, Reading. Thank you, I was not aware of this feature.